So, although I have increased probuction this year by 80%, I am keen to bring 146 Cider back towards Southampton without increasing distribution outlets too much. One of my regrets of last year is that everything just disappeared too quickly - and that I had allowed distribution to grow where ever it may be found (though I am ever thankful for the support everyone of everyone who has sold 146 ciders). 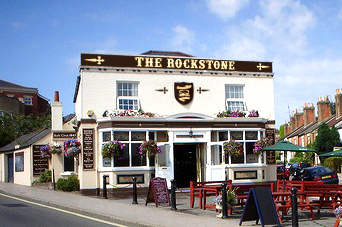 The Rockstone describes itself as not your typical city centre pub - a warm comfortable place to eat drink and relax, to transport you from the hustle and bustle of the city to a country pub full of conversation, hearty food and fine ales. Not only that, but its a pub that loves it's ciders too! I am very pleased that a pub in Southampton has started to sell 146 cider. Not only that, but it will be selling all three blends of 146 cider. I have produced some shiny new pump clips and invested in the conversion thingy's and have to say it does all look rather satisfying to say the least. My hope is that this continues throughout the year to become 'the' 146 Cider beacon in Southampton. Going by the feedback I recieved following last years Southampton Beer and Cider Festival, it will be a nice place to point out to people when they ask me where to get hold of my ciders. As usual, The Rockstone will be added to the outlets page of my website. I abysmally failed to acknowledge the first festivals of the year - although both Winchester Beer Festival and the Ellingham RFC Festival (near Ringwood) both sold out... so clearly they didn't need any additional promotion:-) Next year I will advertise them... honest!! (2nd - 6th May) - THE big CAMRA beer and Cider festival in the South... well, excluding the Great British Beer Festival I suppose. It includes the annual cider championships (which this year include a couple of friends... so well worth getting involved with). 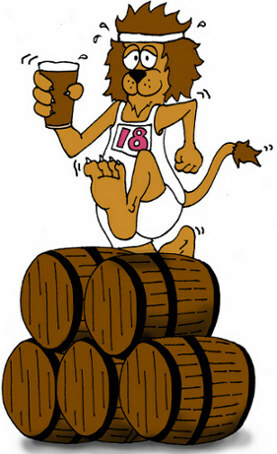 I will keep each month updated as we go along, although don't forget that Southampton Beer Festival (my favourite and number 1 supporters of 146 Cider since the very beginning) is looming in early June. I plan on spending a little time behind the bar again if I can, but for now, here is the link to their website for your delectation! 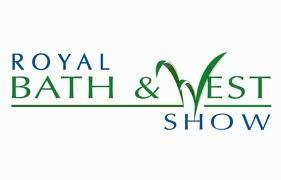 Its all happening from 30th May - 2nd June and I will be sure to announce it if/when any 146 is ordered! So its nearly time to start selling cider once again. And I guess its that moment to formally let people know what is in the 146 Cider arsenal this year. Having spent some time racking and bottling (and tasting) the ciders I am happy that all of them are good enough to release - and I am personally very, very pleased with one or two of them. As a first, I am also gearing up (girding my loins, you might say) to sell Wild West as a medium dry. I know, its not a big step from dry but it is currently all I am prepared to do. To do this I intend to sweeten with sucralose. OK, its an artificial sweetener but I have spent quite a long time procrastinating and investigating what the best method is. Sure, sugar and apple juice are 'more' natural - but the pay off is that you then have to pasteurise to stabilise (and both affect the taste more than you might believe)... Have you ever tried a Westons that tasted of apple juice? Then you will understand the problem. Aspartame and Saccharin are the other options. These are both much better established. However, they leave a taste and, in the case of aspartame, are not sufficiently stable for my liking. Sucralose is used in sugar free pop drinks and is the main agent in 'splenda'. It is stable and it doesn't compromise the flavour of the cider too much. Unfortunately, there is no silver bullet to sweetening. Well, there is - get the cider to stop earlier. However, this is much easier said than done without the use of champagne bottles or (again) pasteurisation. The original 146 Cider, this is a blend of 50% desert and 50% cider apples sourced from the Fruitwise Heritage Orchards in Southampton. It has a good tannin and a mild acid this year as I have ceased using Bramley as a sharp. I think it is the best Heritage blend I have produced. A western style of cider made from 100% cider fruit (this years coming from Dorset and Somerset). I have increased the amount of bittersharps for this year which means I don’t have to use Bramley to balance it. As a result there is a very good dose of fruity tannin and an underlying acid that doesn’t interfere. For the first time, I am prepared to offer this as a medium dry cider. No, it doesn’t mean I will sweeten everything, but the tannin in Wild West bears some sweetening without compromising its taste. Any sweetening will be done using ‘Sucralose’ – a non fermentable artificial sweetener which is far less intrusive than aspartame and does not require pasteurisation (as would be needed using sugar or apple juice). This was the trial of the 2010 season and is now a full part of the 146 Cider line up. Made from 100% quality desert apples sourced from Fruitwise and Hill Farm (both Hampshire Orchards), Eastern Delight is a proper eastern counties cider. By only using desert apples with character (such as Orleans Reinette and several forms of Russet) this cider has a flavour as well as acid. No Bramleys were harmed in its production, which has balanced the flavour better than the trial. This is a blend of three varieties of apple, Blenheim Orange, Harry Masters Jersey and Taylors Gold. It was a single pressing where the juice tasted outstanding and was kept back for competition entry. It is similar to Wild West in style, although with more acid notes, and it has a different character to Hampshire Heritage (which has over 25 varieties of apple as opposed to 3). Because Hampshire Heritage is going to be used for some competitions, this can be released on a very limited basis as it contains a different character to the other three ciders. The three main blends are already ordered for several festivals (I will update the events page of the website and keep the blog up to date regularly). The bottles will start to be delivered early in May... with Batch #15 following once matured fully.